Romance finds its way into our lives in many strange and unusual ways. We never know when it’s going to happen or what the outcome will be. A chance meeting in an elevator or at a New Year’s bash could result in a brief interlude or a long-term connection. Some high school relationships come and go and some end in marriage. Karen and Jason Ratner were climbing Masada when they brushed shoulders. It was the spring of 1992 and they had just started a two-month program at the Alexander Muss High School in Israel (AMHSI or HSI, as it is known). It was a warm night on Masada and Karen wanted to borrow a pair of shorts. Jason came to the rescue and they started talking. Karen had already found an Israeli boyfriend who was in the army at the time, but Jason felt that it probably wasn’t serious due to the fact that it would end up as a long distance relationship. He still held out hope that something could happen. “Karen wasn’t interested in me during HSI or after she got back,” Jason remembers. “She came back later than I did and I was determined to try start a relationship so I started by sending her roses on her birthday. After that, we went out a few times (with her friends), and later alone to some school plays and shows. We started dating more seriously after a while, and in the coming year, we went to her high school prom together. That was when she found out that I hated to dance,” he laughs. By the end of 1992, the relationship was serious and the following year, once Karen graduated from high school, they decided to move to Israel together. Karen was born in Israel and she had always wanted to return and join the army, and Jason’s experience at HSI had drawn out his feelings of Zionism. They lived in Israel for a few years and then returned so Jason could finish his studies in an English environment. They decided to get married in Israel in 1997 and a year later, after he graduated as a software engineer, they returned to Israel permanently. Jason still works at Intel, the company that gave him his first job in Israel. 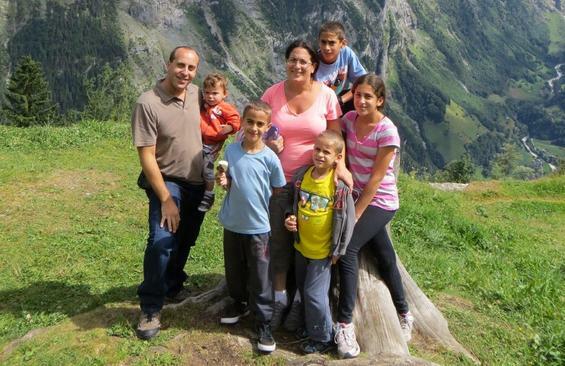 Karen and Jason now live happily in Kfar Yona with their five children and their wonderful memories of their time together at HSI. Abby Trupkin bumped into Gregg Wilentz’s godparents in a bagel shop on the morning of their flight to Israel in the summer of 1988. Jokingly, they told her about a “guy they knew that she had to meet”. 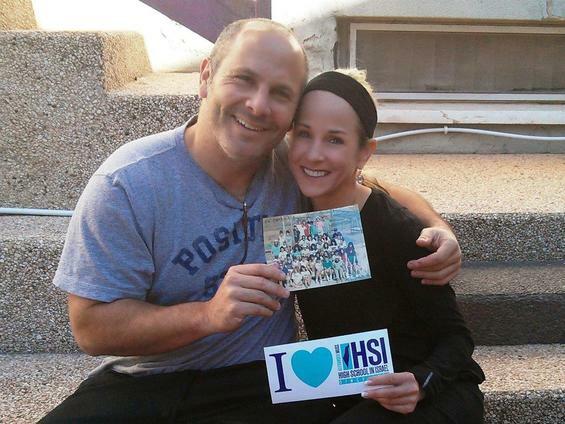 A few hours later, Abby and Gregg were on their way to their semester in Israel with HSI. They both embarked on their Israel journey with a group of friends from home, all of whom got to know each other – and their Jewish roots – really well. Abby and Gregg spent much of their downtime together and also sat together on many of the bus rides “listening to mix tapes on a yellow sports Walkman”. The couple really connected during their time in Israel. After returning home to Florida, the romance grew and continued throughout high school and they have been together ever since. They got married in 1996. 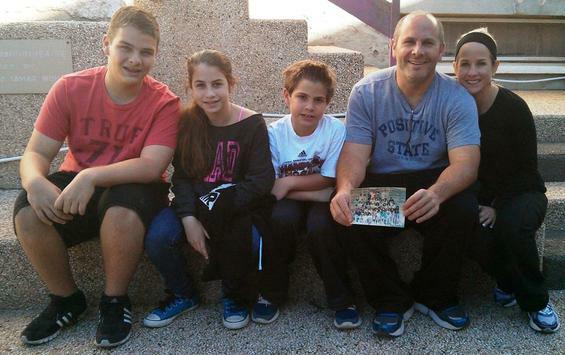 In December last year, the couple returned to Israel for the first time since they met to celebrate their 17th wedding anniversary with their three children, their parents and Abby’s two sisters, both of whom had also participated in the Alexander Muss program. AMHSI, which is supported by the Jewish National Fund (JNF), is the only pluralist, non-denominational, co-educational English language study abroad program in Israel for high school students. The program provides teens with the opportunity to spend part of the academic school year or summer in Israel during the sophomore, junior or senior year of high school on a fully-accredited, academic and fun experience, earning high school and college credit – and making life-long friends and partners along the way.